Product prices and availability are accurate as of 2019-03-24 04:32:59 EDT and are subject to change. Any price and availability information displayed on http://www.amazon.com/ at the time of purchase will apply to the purchase of this product. 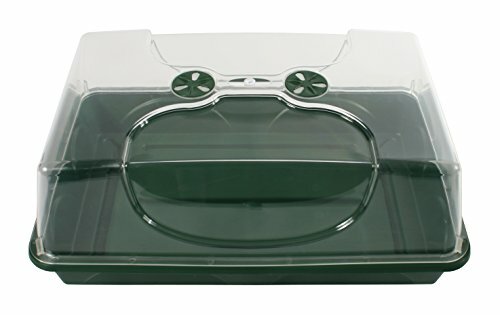 Early grow's uk-made propagator lets you start seedlings indoors or outside, and protect from the elements, scavengers, and temperatures that could harm your plants. They are made of high quality durable plastic, allowing them to be used again and again - a worthwhile investment, with no risk of breaking or shattering. The clear vented dome allows you to control humidity while allowing maximum sunlight to your seedlings. The high top dome also allows seedlings to continue to grow and not run out of space.